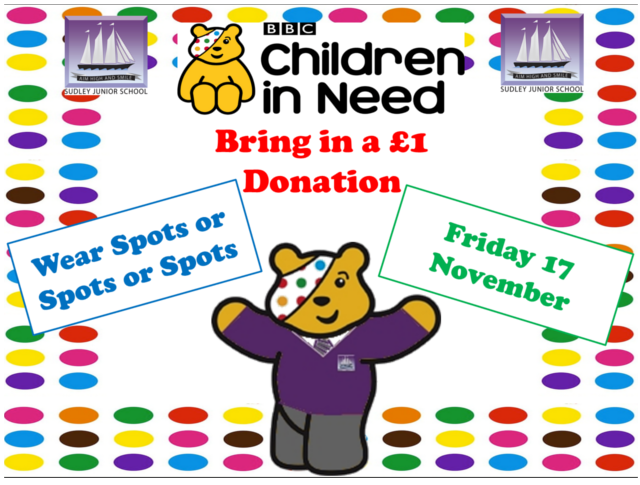 On Friday 17 November 2017 we will be raising funds for Children in Need. As part of the day we would like children to come into school wearing spotty or Pudsey related items of clothing (no onesies). A suggested donation of £1.00 will be collected on the day. All children who choose to wear spotty clothing or Pudsey related items would not be expected to wear their school uniform. If your child does not wish to take part, they will be expected to wear their full school uniform. 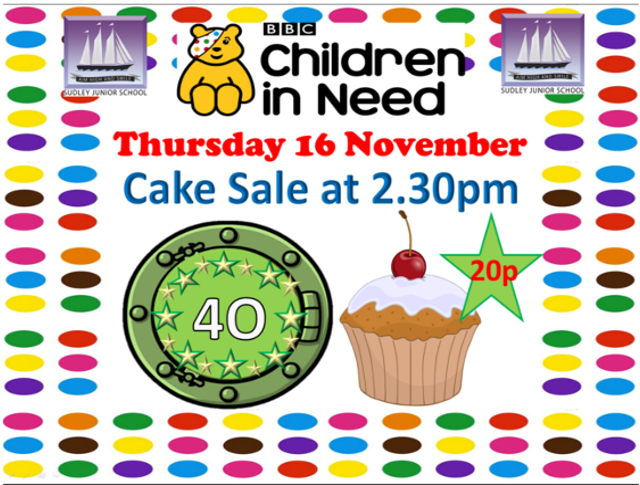 In addition, 4O will be holding a cake sale on Thursday 16 November. All children may bring in 20p if they would like to buy a cake. All fund will be added to Friday's Children in Need donations.